Here are some AppTaster files made with AppCooker. To test them, download AppTaster on the AppStore (it’s free) then come back here with your iPad or iPhone and download the projects from a browser. It’s simple and free! Entirely made with iOS UI Elements and vector shapes, this mockup is playable on iPad, iPhone and iPod Touch. Made with images imported through Dropbox + links applied to them. This mockup is only playable on iPad. 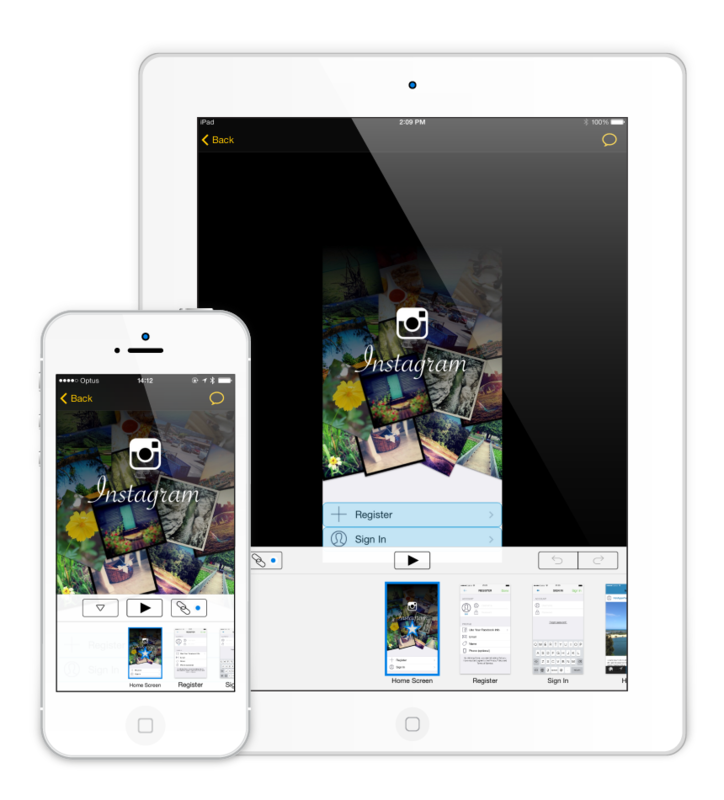 This mockup shows the advanced level of polishing you can get with AppCooker. Playable on iPad, iPhone and iPod Touch. 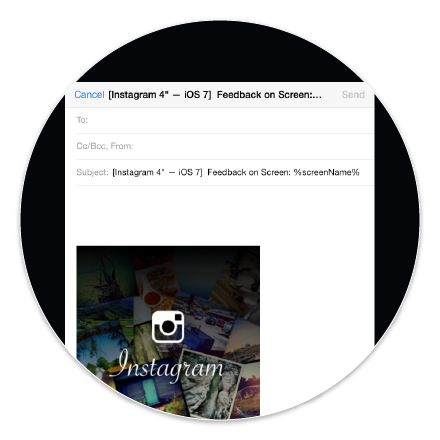 AppTaster revolutionizes the way you get feedback on your App projects. Standing on the power of AppCooker, your projects come to life in the hands of your clients, colleagues and friends, as though they were using a genuine app. By getting close to reality, AppTaster helps you to improve and refine your app project before the production starts. Save time, save money, use AppTaster. AppTaster projects are displayed as if they were real App in the App Store. It gives a unique context to the testers, they will experience your App idea with more insight and will be able to give you more feedback. In fact, any aspect can be commented by the tester through a simple email. 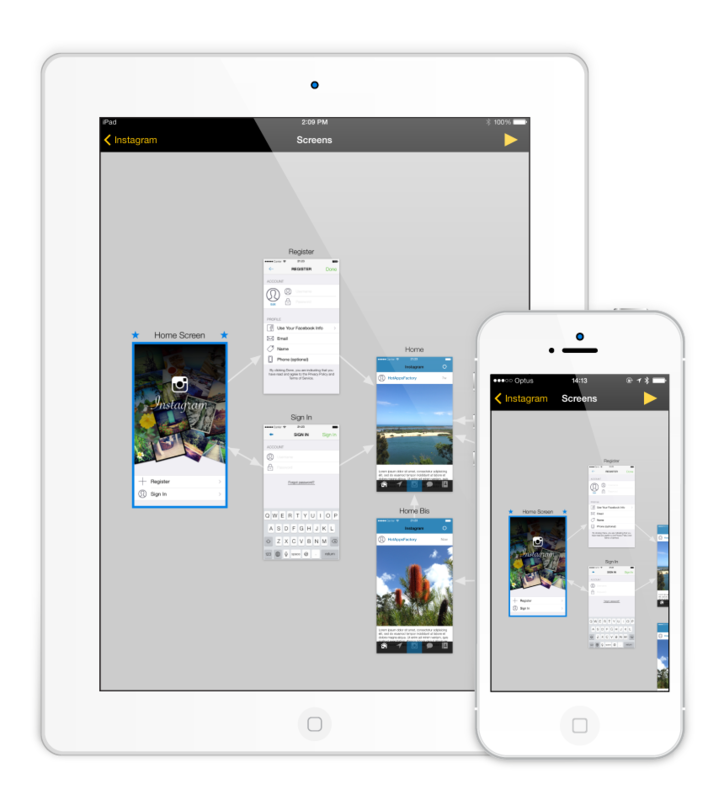 AppTaster projects ships with the screen map. Testers will be able to zoom in and out and start playing the mockup from any screen. Note that for smart back, users must start from the first screen. 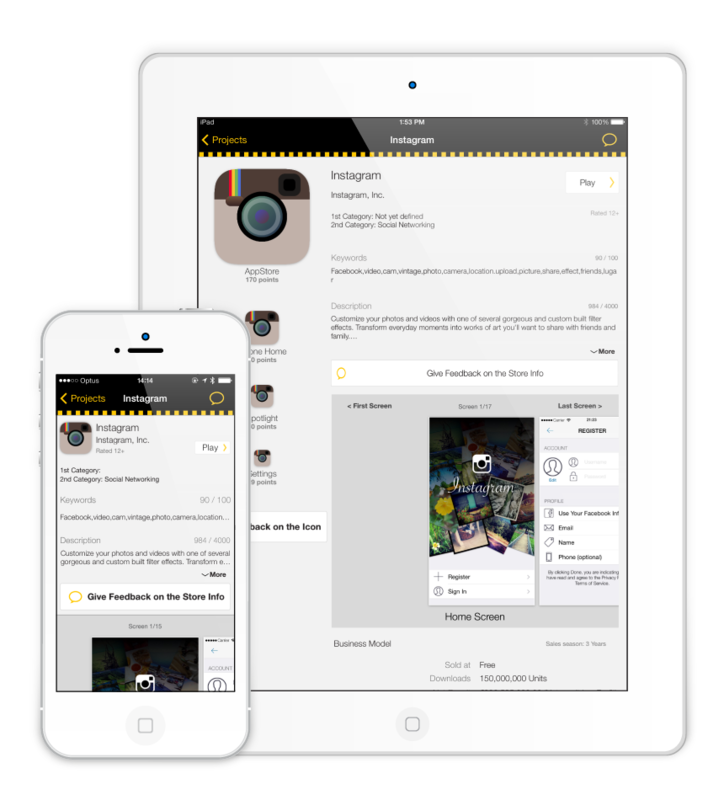 AppTaster is a universal App so it is working on any iOS device. You can play an iPhone App on iPad or iPhone but iPad only Apps can be read only on iPad for the moment. The player is sensitive to orientation. 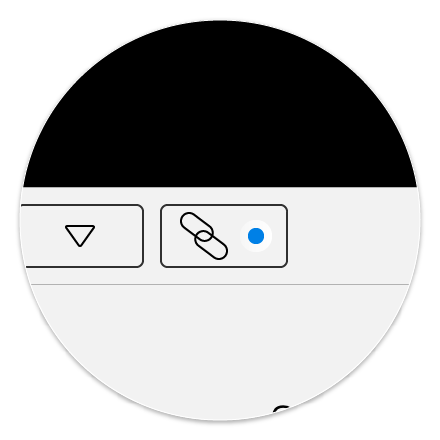 If the designer created a screen in both orientation you just have to rotate the screen. 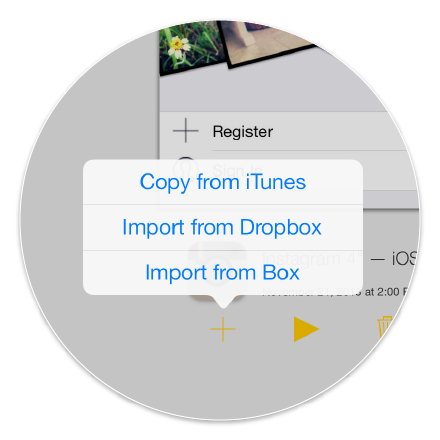 Import projects from iTunes, Dropbox or Box. You can also open a project right from an email if you received it inside an email. For very big projects (200 screens) we recommend to use iTunes. Users can show/hide link during preview to be in “real” conditions. This is perfect to make user testing and see what is working best. It’s super simple to make feedback with AppTaster, just touch the bubble and an email will be created, with the creator’s email and the screen inside. You can then write your comment and hit send. The title of the mail helps to keep an organized mailbox.